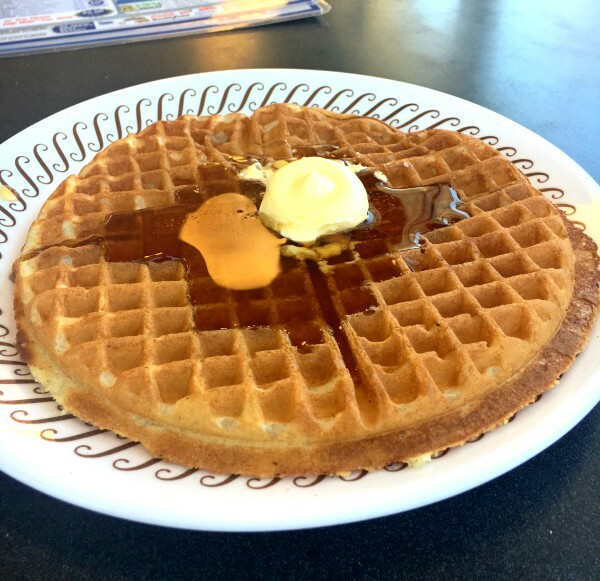 In honor of National Waffle Day (3/25/2018), this week’s Tasty Tuesday blog post is about Waffle House! Waffle House is a southern chain born in Georgia in the 1950s. Since then, it has spread to 25 states and opened more than 2,000 locations. Our very own Waffle House is located at 3909 Hillsborough St., near Meredith College and US 440. 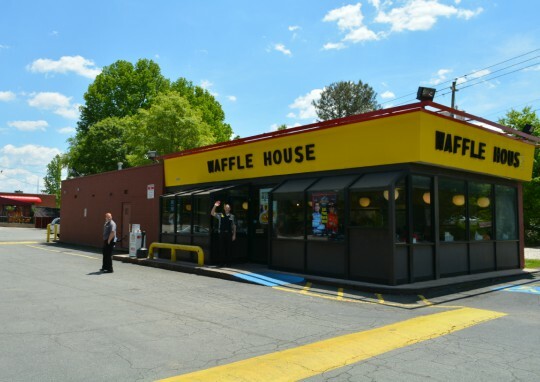 Waffle House on Hillsborough Street is easily accessible and includes plenty of parking for its guests. Customers can always expect to be greeted by friendly faces working behind the counter. Waffle House is open 24 hours a day, and breakfast is always an option. My go-to order at Waffle House includes hash browns every time. 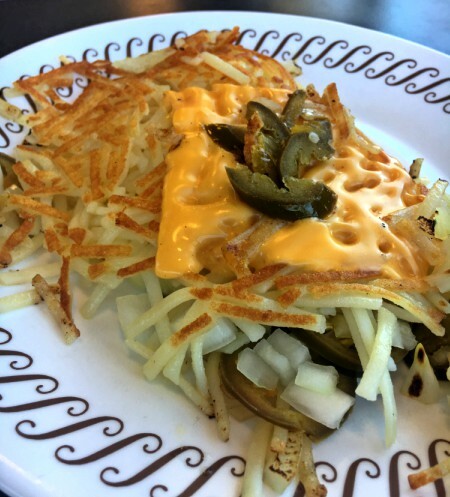 Hash browns at Waffle House are unique because they are ordered using Waffle House-specific lingo. This time, I ordered my hash browns smothered (sautéed onions), covered (American cheese) and peppered (jalapeño peppers). They were savory (as always), and the jalapeño peppers added the perfect amount of spice. Other ordering options include chunked (hickory smoked ham), diced (grilled tomatoes), capped (grilled mushrooms), topped (Bert's Chili) and country (sausage gravy). If you're feeling up for a challenge, hash browns can be ordered "All the Way," which means they're served topped with everything listed above. Waffle House is, of course, famous for their delicious waffles. Although they offer variations with chocolate chips, pecans and peanut butter, I went for the classic. The classic waffle is served plain, and customers add their own butter and syrup according to their tastes. I used the entire mini container of butter served with my meal and a moderate portion of syrup. My waffle was perfectly fluffy, buttery and delicious! Waffle House can be enjoyed 24 hours a day, 365 days a year. The staff is always friendly, the food is consistently tasty, and the prices couldn't be better! Check out Waffle House on Hillsborough Street next time you dine out!